China and the Soviet Union played a defining role in the struggle against Japanese aggression in the Second World War, according to leading Russian and Chinese historians. Russian historians highly appreciate the contribution of the Chinese resistance forces in the struggle against Japanese aggression during World War II, noting that China drew considerable forces of the Japanese army, thus preventing them from being thrown against the Soviet Union. Russia also stresses the importance of objective assessment of the role of the USSR in the victory over Japan. This was the consensus reached by Russian and Chinese historians at a Moscow-Beijing tele-conference organized by the international news agency Rossiya Segodnya. Russian historians claim the role of the Soviet Union in the defeat of the Japanese army in August 1945 has been played down. 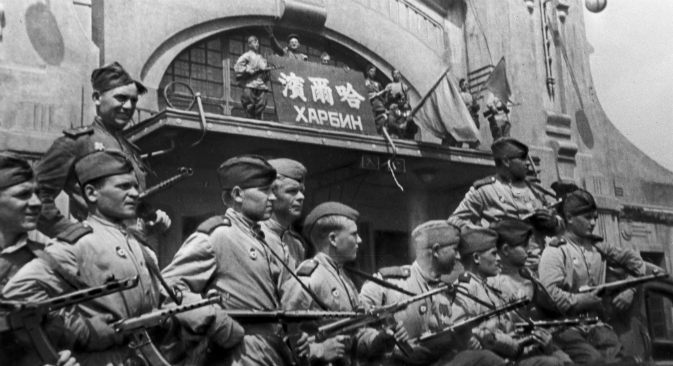 Soviet troops brought in from Europe after the victory over Nazi Germany defeated the more-than-a-million-strong Kwantung Army in Manchuria in just a few weeks. At the same time, according to Russian military historian Vladimir Daines, “attempts to establish that the participation of the USSR in the war against Japan was not necessary” began immediately after the war and still continue. He adds that the common narrative is that the Japanese military power and resistance were broken exclusively by U.S. efforts during the 1941-45 campaigns, and mainly as a result of the nuclear bombing of Hiroshima and Nagasaki. According to Daines, Moscow's decision to participate in operations against Japan was formalized at the Yalta and Potsdam conferences. It was primarily the United States that was interested in the Soviet Union entering the war against Japan, being aware that without the help of the Soviet Union the war in Asia might drag on for another several years and cost the United States hundreds of 1000s of soldiers' lives. Yury Nikiforov, a representative of the Russian Military-Historical Society, quoted the founder of the People's Republic of China. Mao Zedong asked a fairly rhetorical question – if the atomic bomb could decide the outcome of war, why was the Soviet Union asked to join the war against Japan? According to Nikiforov, Soviet entry into the war was decisive in that World War II ended in the fall of 1945, rather than in 1946 or 1947. Nikiforov also stressed the importance of the role played by China's resistance to Japanese aggression. At the time of the German attack against the Soviet Union in June 1941, 27 of the 51 Japanese divisions were tied down by the struggle against the Chinese troops. The historian also accentuated two fundamental instances in regard to Soviet policy towards China, which often becomes the subject of historical manipulation. Moscow was not interested in provoking civil conflict in China between the Communist Party of China (CPC) and the Kuomintang, he says. “When our foreign – especially Western – colleagues attempt to portray Stalin's policies in such a way that he almost deliberately tried to incite an internal conflict in China, this is a lie,” the historian said, adding that Stalin spoke of a single China. Nikiforov also stressed that cooperation between the Soviet Union and China – the assistance of the Soviet Union to the Chinese in their struggle against Japanese aggression – was objectively due to conditions of the time, and not a whim of Stalin or the Chinese leadership. A researcher of the Institute of Japan Studies at the Academy of Social Sciences of China, Zhao Gang, also noted the importance of Soviet aid to China, especially in the 1930s. He pointed out that after the Japanese attack on China in July 1937, Beijing received virtually no assistance other than what came from the Soviet Union. It was substantial. For example, more than 1,000 Soviet aircraft were delivered to China. Japan in WWII: Will Tokyo’s apologies ever suffice?